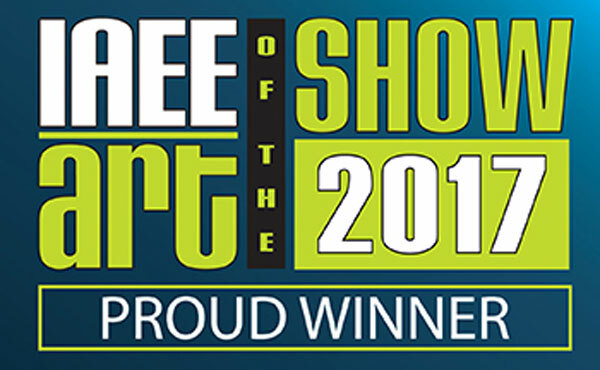 The International Association of Exhibitions and Events (IAEE) has selected the Association of Equipment Manufacturers (AEM) as an Art of the Show winner for Most Innovative Use of Technology in promoting to a worldwide audience. AEM created an interactive 360o virtual reality (VR) of the show to highlight the size and scope of CONEXPO-CON/AGG 2017 and the technologies on display. It also offered a preview of the show’s new 75,000-square-foot Tech Experience where attendees could get up close and experience the new technologies coming to the construction industries. A 3D interactive mobile app, virtual tours online with images and video from the show’s indoor halls and outdoor lots, and dimensional mailers with the VR show experience on Google Cardboard glasses allowed prospective attendees to engage with the VR environment to really get a feeling of what they would find onsite. “The biggest positive surprise, past attendees told us, was the enormous size and excitement of the show packed with all the exhibitors, equipment and products, and this VR tour helped them to better understand what CONEXPO-CON/AGG is,” said Steve Suhm, AEM’s director of exposition marketing. Highlights of the 2017 Tech Experience at CONEXPO-CON/AGG included the world’s first fully functional 3D printed excavator, a Tech Talks educational forum with top global innovators, and the finale of AEM’s Infrastructure Vision 2050 crowdsourced competition to develop forward-looking infrastructure solutions, plus a Drone Zone and 3D Printworks. The next edition of the triennial CONEXPO-CON/AGG returns to Las Vegas USA on March 10-14, 2020. Keep up-to-date with CONEXPO-CON/AGG through its “365” newsletter. “Be on the look-out for ‘sneak previews’ of the 2020 show, including the Tech Experience, and the technologies and trends shaping construction and manufacturing,” Suhm said. CONEXPO-CON/AGG is the international gathering place every three years for the construction industries, spotlighting the latest technologies, products and best practices. AEM is the Milwaukee-based international trade group representing the off-road equipment manufacturing industry. AEM’s world-class exhibitions include CONEXPO-CON/AGG and ICUEE – The Demo Expo. IAEE is the largest association of the exhibitions and events industry in the world, with a membership of show organizers, exhibitors and exhibition suppliers, including organizers of more than 20,000 exhibitions and buyer-seller events around the world.